Hello everyone, sorry its been a while, I guess I’ve just been enjoying the weather while it lasts and had school work to do etc. Anyway, this post is about something I purchased a few weeks ago and have been loving! 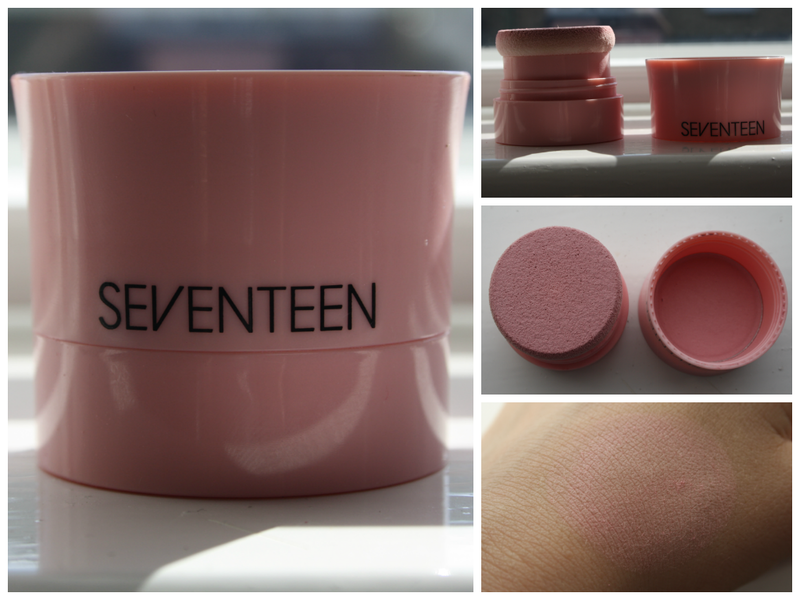 The seventeen cheek stamp blush in shade Blushing. They have 5 different shades of blush in this cheek stamp, all £4.99 from Boots. I picked this shade purely because it was bright and summery. The way it works is the blusher is inside the ‘lid’ of the packaging and then the stamp on the other side. Inside the stamp is a spring, which obviously means you can get some blusher onto the sponge stamp. There is only one slight error in this product, and that is that stamp can get a bit stiff and even break pretty easily. It’s not to difficult to fix but just annoying and really it shouldn’t be breaking, but for £4.99 I’m not sure you can complain too much. How I use it is just get some blusher onto the sponge then lightly stamp it onto my cheek, maybe twice. Then I just use a blush brush to blend it out and up to the tops of my cheeks. If you think it’s to bright then you can always go over the top with some powder and blend it in. Overall I think this is a very decent product, and the colour is super gorgeous! It also stays on through out most of the day I have found. Would recommend this if you’re wanting a more summery blush for the summer time! Thanks for reading, I hope you enjoyed it and please comment what else you’d like to see and if you’ve ever used this product before.